Babywise is truly a gift to parents- or anyone with an infant in their care. My son was really struggling with falling asleep and staying asleep. When he was 5-6 months old, I thought that I was going to lose my mind. 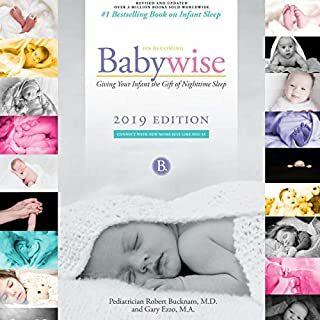 Someone suggested that I read Babywise, and as soon as I started implementing the routine that is so clearly explained in the book, we were on a great schedule within a couple of weeks. I was happier, he was happier, and we were both sleeping.